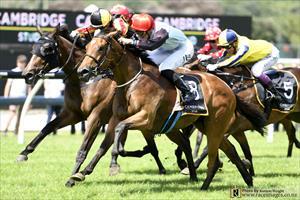 Co-trainer Pam Gerard said: “She’s A Thief has trained on well since racing here Boxing Day on unsuitable heavy ground, and gets a good track. She seems bright, well, and worked up good. She meets a smart field. Hopefully she races on the heels of the pace and ends up right in it”.